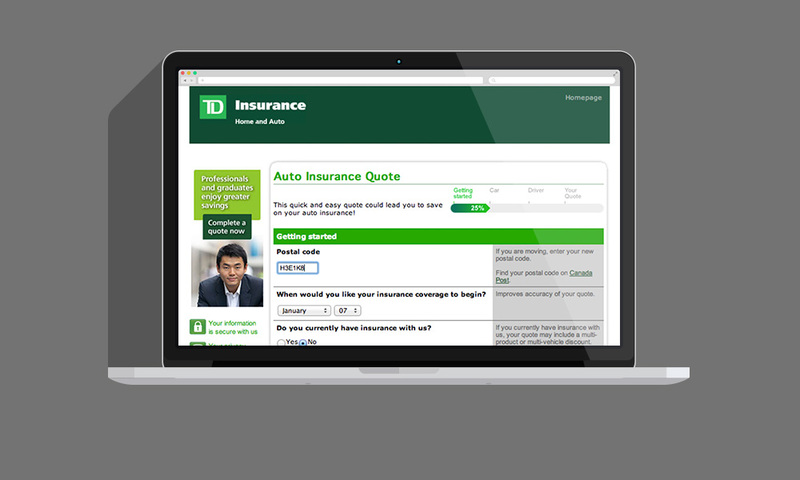 TD Insurance, a leading online insurance provider, has exceptional traffic on its web-site. However the company was not happy with its completion or “closing” ratio.. Only 25% of visitors that began the online quotation process followed it through to the end..
One of the key pieces of user research gathered by Cognitive Group, identified where, in the online experience, users were abandoning the process, why, and how this could be fixed. These increases translated into a recurring multi-million dollars worth of increased sales. The payback period on the initial investment was less than six months.